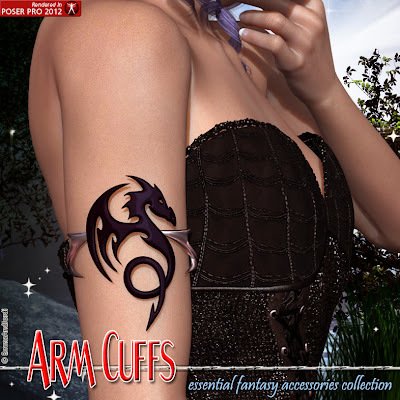 Our latest product for Renderosity is Arm Cuffs, a great accessory pack for all your renders! 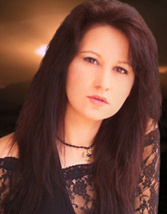 A very essential accessory for fantasy characters but also for casual, as they are top trend. A very versatile pack for different kinds of characters. A must have! All details are modeled in 3D, real geometry. More Is More For Faelyn Dress means more textures and versatility for our Faelyn Dress. You get 8 high quality full mat sets and also icons for hiding zones of the dress. The texture sets allow you to get even more variety for Faelyn Dress, to get the most of it! 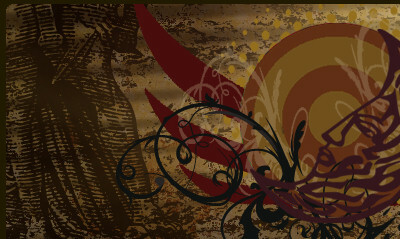 that came with our dress or with this or other addons for Faelyn Dress! The hands and feet of your characters will always have the perfect ring to wear... A must-have! 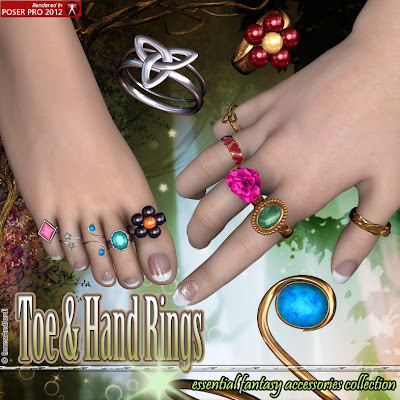 These rings can be placed in each or all finger of hands and feet, and you can choose between 10 possible shapes for each one, and multiple finishes. A versatile collection that you will use very much!